We have reached an exciting turning point in the Formation Program. The third priest for Mustard Seed, Transitional Deacon Philip Omondi, will be ordained in September. He is the first priest to join Mustard Seed since Father Garvin’s ordination in 2011. Fr. Philip will oversee the spiritual welfare of the children and staff at MSC throughout Africa. Brothers Ernest and Bekithemba from MSC Zimbabwe have finished their first year at St. Michael’s Theological Seminary in Kingston. Two more Brothers from MSC Zimbabwe will join them in Jamaica and begin their first year at the Theological Seminary in September. Patrick Roche, a MSC Mission volunteer for more than fifteen years, will be ordained the second Permanent Deacon in July. The first was Joel Ballantyne ordained in 2016. They will serve the Mission Volunteer program while actively promoting Mustard Seed Communities at parishes throughout the United States. St. Andrew’s House of Formation is being built at Jacob’s Ladder and will be completed by the end of the year. View this video to see the progress of construction. 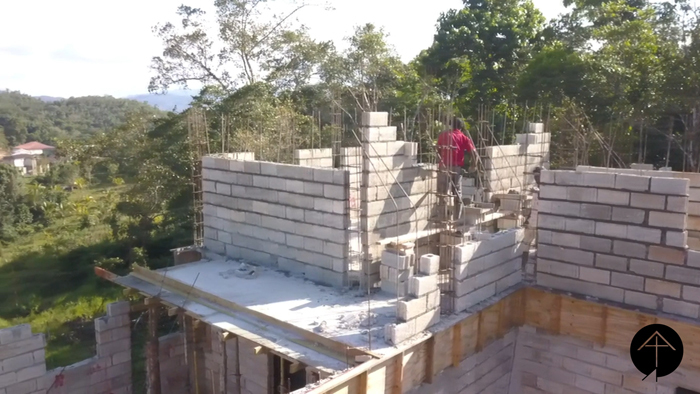 Constructing Saint Andrew's House of Formation - May 2018 from Mustard Seed Communities on Vimeo.